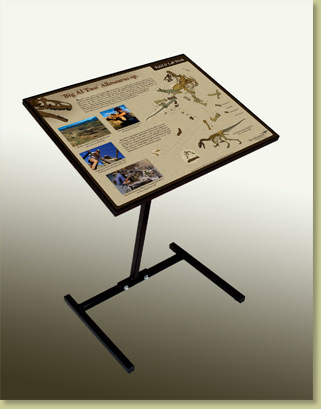 Display poster, with optional framing and stand, specifically designed to complement our BIG AL TWO Allosaurus fossil replica skull exhibits. It describes work on BIG AL TWO. 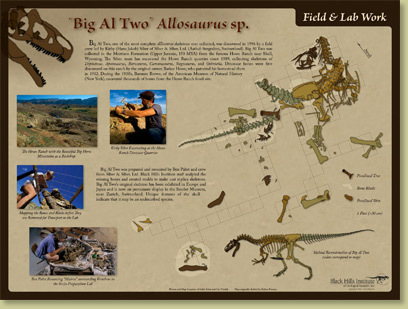 A companion poster, describing the skeleton of BIG AL TWO, makes a complete and informative exhibit. Notes While this poster is meant to accompany a BIG AL TWO Skeleton exhibit, it will work equally well when used in exhibits of other BIG AL TWO material.